Image has been converted to black and white. A color version also exists.) 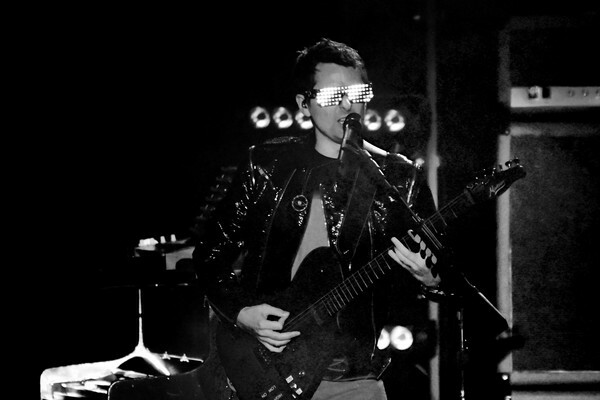 Matt Bellamy of Muse performs onstage at Citi Sound Vault Presents Muse at Hollywood Palladium on February 09, 2019 in Los Angeles, California.